Touch Supper Club has long been one of the most dynamic, diverse and delicious night spots in Cleveland. Touch has carried a tradition of fantastic dining, paired with exciting events for over 15 years. In 2015, Touch remodeled, relaunched and quickly reestablished itself as the premier nightlife destination for discerning club-goers. THERE'S NOTHING WE ENJOY MORE THAN HOSTING GREAT DINNER PARTIES. 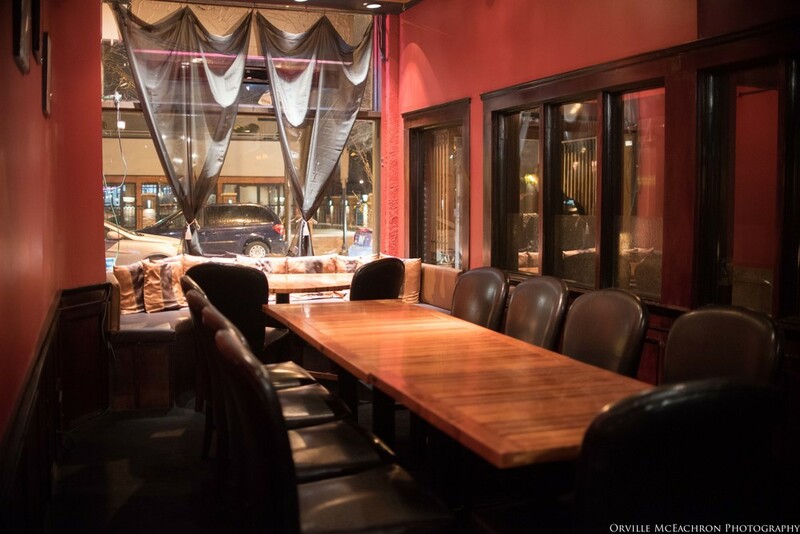 Big flavors and reasonable prices shine on the menu at our Ohio City restaurant/bar/nightclub. Contemporary American comfort food with an international mix of flavors compliment hand crafted cocktails and a giant selection of craft and imported beers. The various rooms at Touch offer diners multiple options to hang out and enjoy our talented DJs in the lounge, sit in peace and enjoy a cocktail in the library or get wild in the basement club. Our Sunday brunch is a local favorite. The menu rangeds from Chicken and Waffles to Fruity Pebble Pancakes to giant breakfast sandwiches; and of course, our legendary Bloody Mary bar. So if it's drinks, dining, dancing, or "all of the above" - drop in and experience an Ohio City original. The Touch Supper Truck takes our exquisite cuisine to the streets of Cleveland! We work with a variety of budgets, events and locations, so do not hesitate to contact us about catering your next event. Weddings, graduations, birthdays, festivals - we're everywhere!